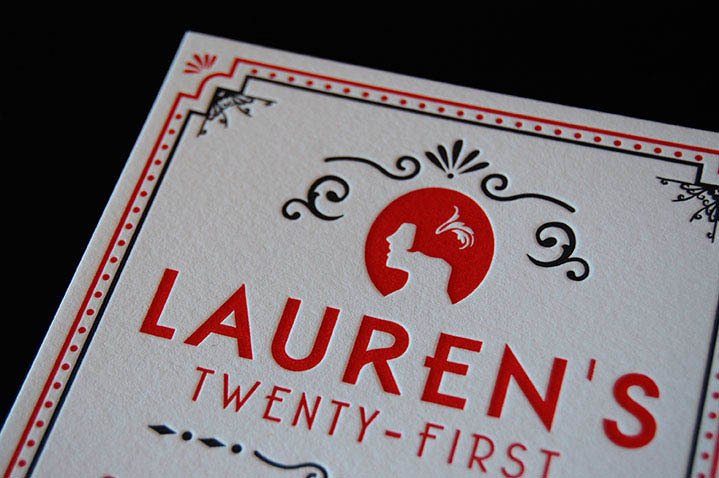 One colour letterpress with blind impression printed on Crane & Co. Lettra 100% Cotton 300gsm White. Matching envelope with custom striped inlay pattern. 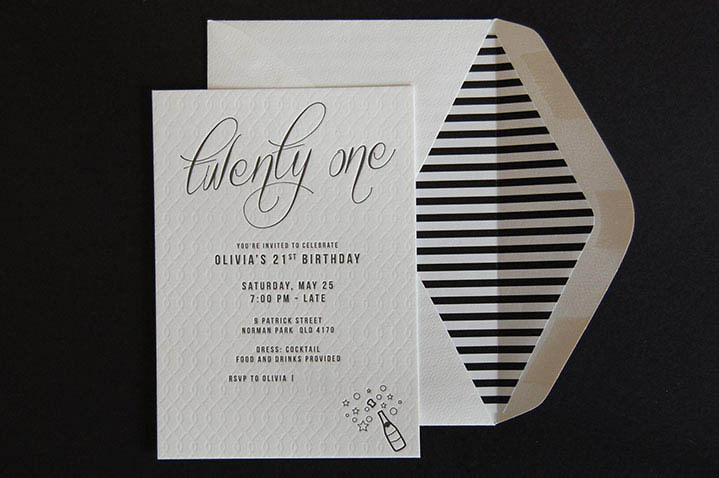 Olivia's invitation is simple and chic. The blind impression adds a unique textured element you've got to feel to believe!